Those lovely people at Londonist have done it again and are GIVING AWAY two pairs of free tickets our huge eighties movie party on the 4th April. These ticketed events are a fundraiser for a small London charity called Camp Cando, helping kids have a lovely summer experience. As we’ve helped the Harlots and Camp Cando raise a bucket load of cash with the CMP over the last few years, this will be the last charity event we do with them. Don’t worry, we’re planning something equally good next. 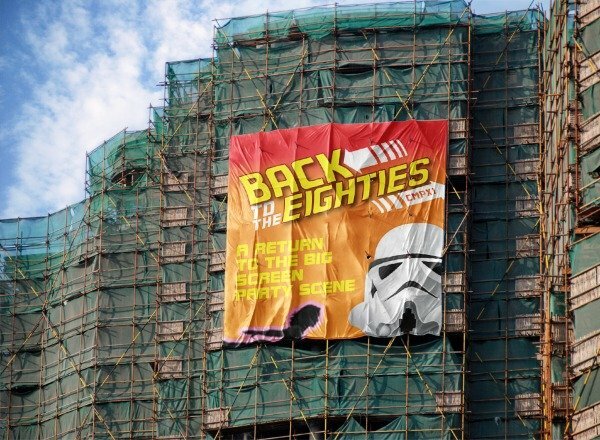 I don’t know where the recent wave of love and support has come from for this party – I can only conclude that people really do love the eighties and movies in equal amounts – especially to show this much love.